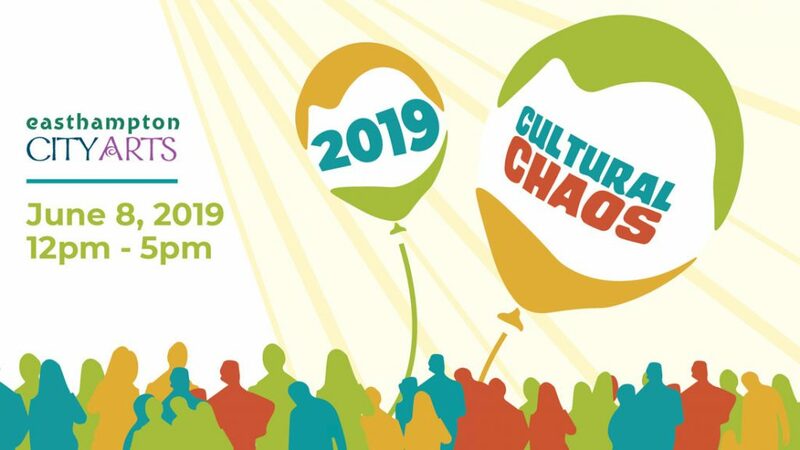 Cultural Chaos 2019 is happening on Saturday June 8th, 2019 from 12-5PM & this year, the theme is “See, hear and taste the JOY of Easthampton”! Cultural Chaos is our Annual Street Festival with a Twist, highlighting and celebrating the local artists, performers, and businesses that make Easthampton unique! Cultural Chaos takes place in Easthampton’s Cottage Street Cultural District on the second Saturday of June. Each year, the event’s visioning, planning, and implementation is a real team effort between ECA, the Cottage Street Cultural District Subcommittee, local sponsors, and more than 100+ volunteers. There’s something for everyone at Cultural Chaos! Puppets, stilt-walkers, circus acts, dancers, musicians, and performance artists – plus a variety of restaurants, artists, makers, poets, and literaries. Creative hearts from every discipline line the street and open their businesses’ doors to share their unique wares and imaginations with the 10,000+ attendees who come from far and wide each year. Please come join the fun of Easthampton’s home-spun Chaos and experience a full day of food, music, open studios, and performances highlighting the Cottage Street Cultural District! Applications to participate in Cultural Chaos as an artist, musician, or performer are accepted annually. Restaurants and foods vendors of Easthampton and community organizations that serve the greater Easthampton community may apply to host a tent at Cultural Chaos. Artists who live or work in Greater Easthampton may apply to participate in Cultural Chaos. Let us know what you’ll be doing so that we may include you! Apply here today– the deadline is April 26th! We’d also love to hear from those of you who’d like to volunteer. You can sign up to volunteer here!